Broadway In Chicago and Producers Scott Rudin and Barry Diller today announced the cast and itinerary for the national tour of the most acclaimed American play in recent memory: The Humans. 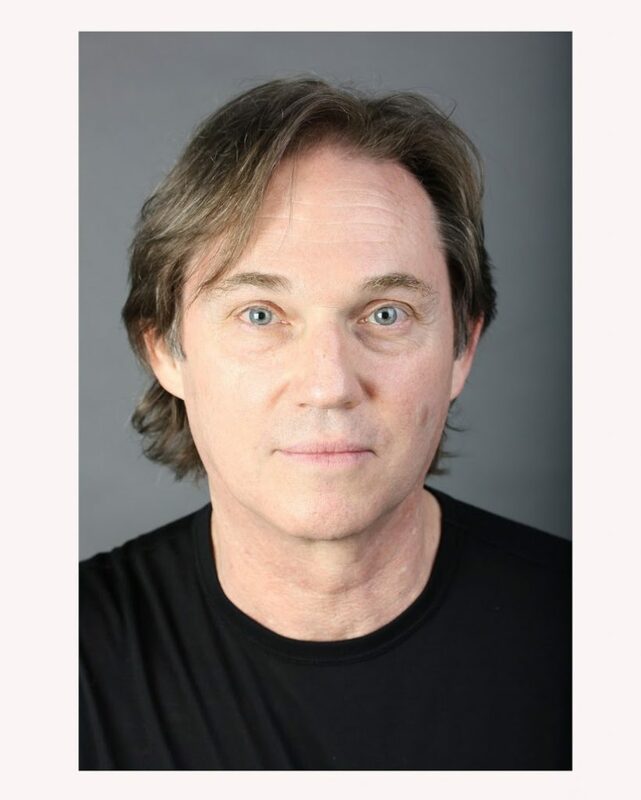 The cast of The Humans first national tour will feature Richard Thomas as Erik, Pamela Reed as Deirdre, Daisy Eagan as Brigid,Lauren Klein as Momo, Therese Plaehn as Aimee, and Luis Vega as Richard. The Humans plays Broadway In Chicago’s Cadillac Palace Theatre for a limited two-week engagement Jan. 30 – Feb. 11, 2018. The Humans is the recipient of 4 2016 Tony Awards including Best Play (Author, Stephen Karam), Best Featured Actress in a Play (Jayne Houdyshell), Best Featured Actor in a Play (Reed Birney), and Best Scenic Design of a Play (David Zinn), 4 Drama Desk Awards including Outstanding Play, Outstanding Lighting Design of a Play (Justin Townsend), Outstanding Sound Design in a Play(Fitz Patton), and a 2016 Special Drama Desk Award for Outstanding Ensemble. In 2016, The Humans was named the Best Play of the Year by the New York Drama Critics’ Circle, the Outer Critics Circle, and the Drama League. The Obie Awards honored Stephen Karam with a 2016 Award for Playwriting and Jayne Houdyshell with a 2016 Award for Performance. The Humans is produced by Scott Rudin, Barry Diller, Fox Theatricals, James L. Nederlander, Roy Furman, Jon B. Platt, Eli Bush,The John Gore Organization, Jack Lane, Barbara Whitman, Jay Alix & Una Jackman, Sonia Friedman, Amanda Lipitz, Peter May,Stephanie P. McClelland, The Shubert Organization, Diana DiMenna. Joey Parnes, Sue Wagner, and John Johnson serve as Executive Producers. RICHARD THOMAS (Erik Blake). Mr. Thomasʼ most recent stage appearance was in the Broadway revival of The Little Foxes, for which he received a Tony Award nomination. He also received a Drama Desk Award nomination for his performance in the revival of Arthur Millerʼs Incident at Vichy at the Signature Theater Company. Other recent performances include Iago in Barry Edelsteinʼs production of Othello at the Old Globe, and Jimmy Carter in Lawrence Wrightʼs Camp David, as well as Broadway productions of Ibsenʼs An Enemy of the People, David Mametʼs Race, and Michael Fraynʼs Democracy. He created the roles of John-Boy on the CBS television series “The Waltons” for which he won the Emmy Award, and Agent Frank Gaad on the FX series “The Americans.” Richard was last seen on tour in the hit revival of Twelve Angry Men. PAMELA REED (Deirdre Blake). Broadway: Fools, The November People. Off-Broadway: Standing on My Knees, Getting Out (Drama Desk Award). At the New York Shakespeare Festival, Ms. Reed premiered Curse of the Starving Class (Drama Desk nomination), Aunt Dan and Lemon, Fen, Sorrows of Stephen and All’s Well That Ends Well. Ms. Reed starred in the world premiere of Ezra Pound’s translation of Sophocles’ Elektra. Film credits include Kindergarten Cop, The Long Riders, Bean, Junior, Melvin & Howard, The Best of Times, Cadillac Man, Rachel River, Passed Away, Proof of Life, and The Right Stuff. Ms. Reed can currently be seen in a recurring role on “NCIS: LA.” Other television credits include “Jericho,” “Grand,” “Home Court,” Robert Altman’s “Tanner 88” (Cable Ace Award: Best Actress), and as Amy Poehler’s mom in “Parks and Recreation.” Ms. Reed received the Obie Award for Sustained Excellence of Performance in Theater. DAISY EAGAN (Brigid Blake). Broadway: The Secret Garden (Tony Award, Drama Desk and Outer Critics Circle Award nominations), Les Misérables, James Joyce’s The Dead. Off-Broadway and Regional: James Joyce’s The Dead, The Secret Garden, Wit, Stoneface,The Wild Party (L.A. Weekly Award: Best Featured Actress, Musical), Be Aggressive, Caught in the Net, On the Mountain, A View from the Bridge. Film: Ripe, Losing Isaiah, Judgment. Television: “The Path,” “Girls,” “The Mentalist,” “Without a Trace,” “Ghost Whisperer,” “Numbers,” “The Unit.” She is a proud member of 30 Minute Musicals and has performed with them in Jurassic Park,The Craft, and Hook!. 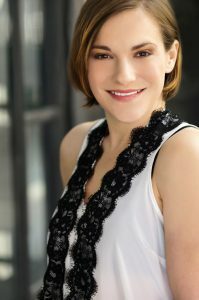 Daisy is a published award-winning writer and has written and performed three one-woman shows across the country. With her writing partner, Jordan Kai Burnett, she writes and performs Daisy and Jordan’s Sunday Brunch of Shame. LAUREN KLEIN (Fiona “Momo” Blake). Broadway: The Humans (original cast), Other Desert Cities, Lost in Yonkers (original cast),Broken Glass (original cast). Off-Broadway: Mr. Goldwyn, Death Defying Acts, After the Fall. Regional: Death of a Salesman,Plainsong (Denver Ovation Award: Best Supporting Actress), Eventide, Charles Mee’s Big Love (Connecticut Critics Circle Award: Best Actress), People’s Temple, Denial (Carbonell Award: Best Actress). National: Dirty Dancing, Broadway Bound, I’m Not Rappaport. Television: “Law & Order” (Judge, recurring for ten years). Film: My One and Only, A Price Above Rubies, Then She Found Me. Video:Red Dead Redemption. M.F.A. from the American Conservatory Theater in San Francisco and B.F.A. from the College of Santa Fe, NM. LUIS VEGA (Richard Saad). New York City and Regional credits: Tell Hector I Miss Him (Atlantic Theater Company), Where Storms Are Born, A Streetcar Named Desire (Williamstown Theatre Festival), The Comfort Team (Virginia Stage), Dance for a Dollar (INTAR), The Tempest (Boomerang Theater), (RUS)H (Here Arts Center), The Knights (Target Margin Theater), ‘Til the Break of Dawn (Culture Project), Alice in War (Summer Play Festival), Life is a Dream (South Coast Repertory), Cloud Tectonics (Out of Line Productions). Film: Another Earth (Official Sundance Selection 2011), Chinese Puzzle, Emoticon 😉. Television credits include: “All My Children” and the web-series “Heirloom.” M.F.A. from the University of California, San Diego and B.A. from Columbia University.